Tech offices are modeled after college campuses. Will they rethink their layouts? A shooting outside the offices of YouTube on Tuesday prompted an outpouring of support from fellow technology workers, as well as a sense of dread over whether other corporate headquarters in Silicon Valley were vulnerable to similar attacks. YouTube’s campus in San Bruno, California, where three people were injured by gunfire, is laid out much like other tech offices nearby. It consists of a group of buildings within close proximity, spread across a suburban area. There’s outdoor seating and grassy pastures inviting colleagues to congregate. Visitors and employees can wander freely together in the vicinity, and security guards typically stay at desks inside the buildings. A woman — identified by police as Nasim Aghdam — shot and injured at least three people before killing herself. 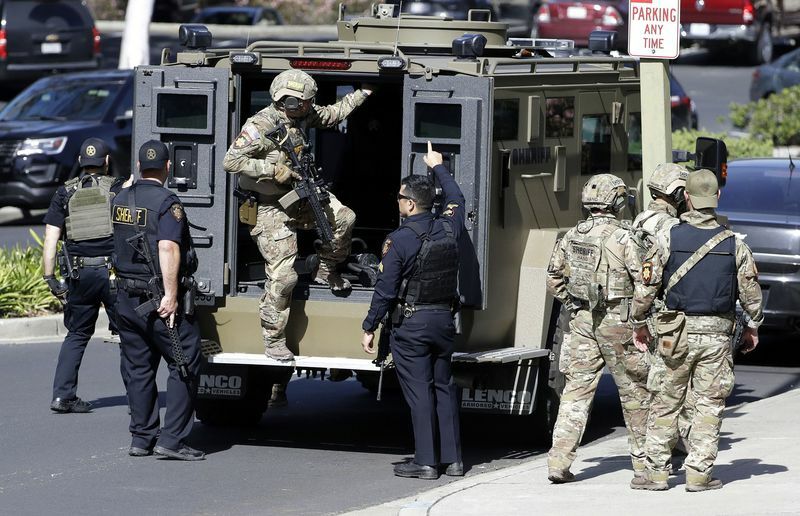 She was found at the scene and appeared to be dead of “a self-inflicted” gunshot wound, San Bruno Police Chief Ed Barberini said at a press conference Tuesday. No motive was given for the shooting. In an American age where shooting rampages have become increasingly common, openness can work against companies, said Jeff Harp, a retired agent at the U.S. Federal Bureau of Investigation in San Francisco who consults for technology companies. While employees are required to badge into buildings, access to many outdoor areas is generally accessible to all.